Electrical Skills Training | Scientific Management Techniques, Inc. Basic and Advanced Electrical training consists of two volumes with 14 Units of training curriculum; up to 80 hours of electrical skills training. The Electrical Training Curriculum begins with the fundamentals of electricity and progresses through electrical troubleshooting skills using our Electrical Controls Trainer. This is a Hands-On curriculum. We teach the theory, then directly apply the theory using training aids that replicate real-world conditions in a manufacturing setting. 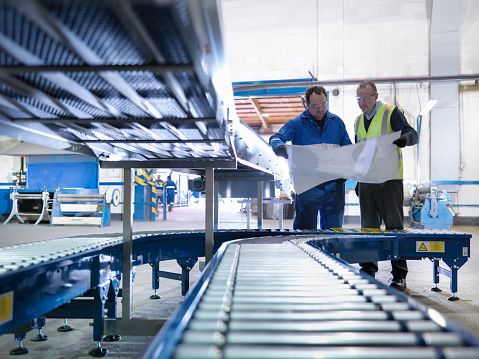 In an industrial setting, all of our training programs are customizable. Manufacturers can select the specific volumes that are applicable to identified training needs and objectives. SMT can assess your incumbent workforce and work with you to design targeted training based on the assessment data. Each training unit consists of a Student Study Guide & Test Booklet, Power Points, an Instructor Guide and a Hands-On Training Aid Kit. Option #1 – SMT sends one our expert trainers to your facility and delivers training for your existing staff and/or new hires. The length of the engagement is a function of the training units being delivered and the number of individuals being trained. We have delivered training engagements lasting from one day to over a year. A typical engagement is four to eight weeks. In this time frame, we can dramatically increase the skill level of your workforce. You will experience the performance improvement during the training. To accommodate internal shift dynamics in 24/7 facilities, we typically deliver the same four-hour training block, twice daily for two different groups. Training four days each week, for six weeks, we can deliver 96 hours of training for each group of participants (192 hours total training). Using this model, the manufacturer leases the training aids for the duration of the training engagement. Option #2 – Manufacturers purchase the program and SMT trains/certifies your staff (train-the-trainer program) to deliver the curriculum. With this model, the manufacturing organization or school purchases the training aids and licenses the curriculum to use on an ongoing basis. Our Electrical Skills Training Programs are recommended by the American Council on Education’s College Credit Recommendation Service (ACE CREDIT®).